While I am usually a stickler for routine, one thing I do like about being a stay at home mom is that it does give me a fair amount of flexibility. Take yesterday for example. I ran about 15 minutes over teaching, and then stuck around the gym for another 30 minutes chatting. So by the time we got home from the gym it was about 1:30. My kids nap time is from 1 to 4. 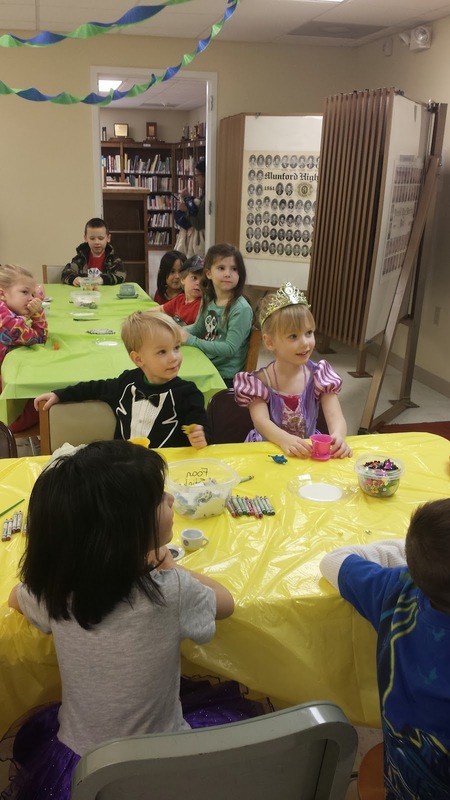 Then while they were eating lunch someone shared the Munford library's status update about story hour being a tea party that day starting at 4:30. My kids love to play tea party. It's one of the few things they do that doesn't always involve fighting. And as an added bonus they suggested that you come dressed in your party best and bring your own tea cups and saucers. I knew the kids would love that so even thought it was 2 (now an hour late into naps) I asked if they wanted to go. Both of them really wanted to go so I told them if they went right to sleep we'd go to story hour. I'm not sure either of them actually napped but they were quite and I called it a win. Plus, I wanted to check out the Munford Library. We've lived here for 7, almost 8 years, and I've never been. Story hours typically make me want to break out in hives. So I avoid them. Too many kids, too much worrying about mine acting appropriately. Anyway, I got Sarah up and she picked out a princess dress to wear. Cody was wearing his T-Rex shirt that I love but I talked him into letting me put his tux shirt over it so he'd be party ready. 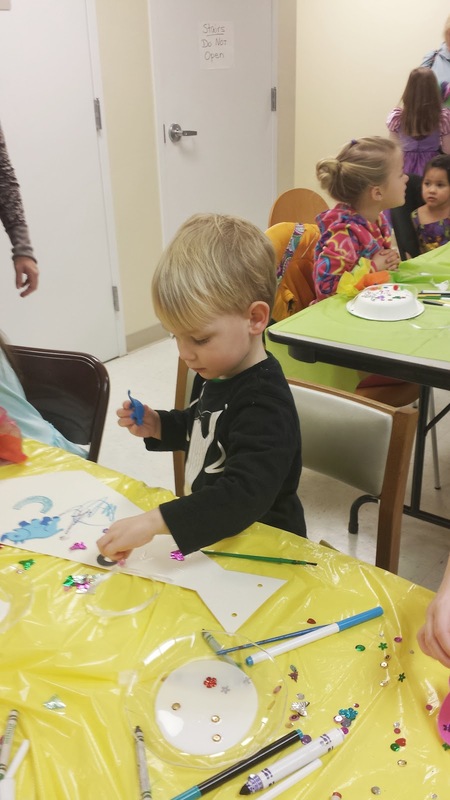 Once we got to the library I learned this was a T-Rex Tea Party so I guess I could have left him in his other shirt. The librarians did a great job it was a well organized story hour and she read the books in a nice an animated way. 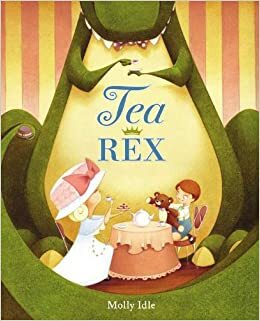 First they read the story Tea Rex. 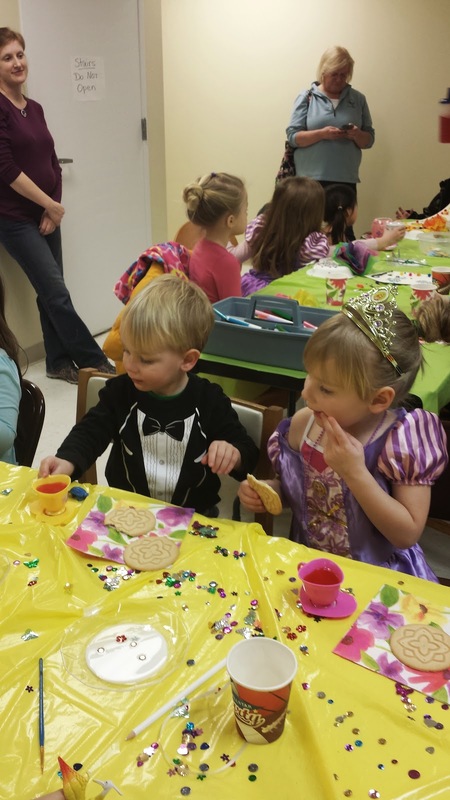 To learn how to have a proper tea party. I shared this picture on facebook and someone said that Cody looked like he was at an awards ceremony all laid back but in his tux shirt. I agree. And it makes me giggle when I see this picture now. Like he's at the Golden Globes listening to Tina Fey and Amy Pohler. 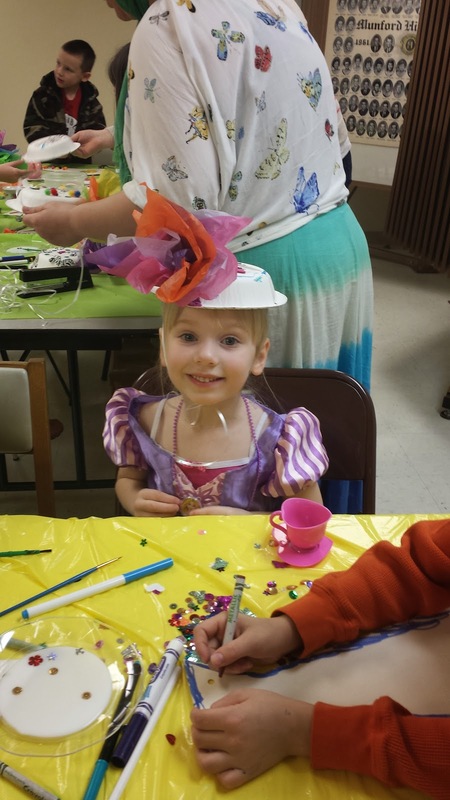 From the story they learned what proper tea party attire is. So the girls got to make hats and the boys decorated ties. They were also given mustaches but Cody didn't want to wear his so we added it to his tie. Sarah with her lovely hat. After everyone was finished they got ready for the tea party and passed out tea cookies and some special juice. Sarah and Cody thought it was so cute that they were getting to drink out of their tea cups they brought. However the punch was made out of Hawaiian Punch and Sprite so after one sip each my kids wouldn't touch it. Too thick for them. They've never had either of those drinks before. We're a water, milk, or apple juice kind of family. 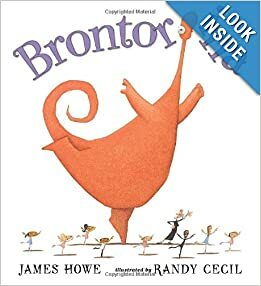 While the kids enjoyed the treats the librarian read Brontorina. Sarah really liked that book since it was a Dinosaur that wants to be a ballerina. I'm glad we were able to go on such short notice. Sometimes its good to say forget about naps and schedules and what's for dinners. They won't always want to dress up and go to tea parties at the library. I better take those chances while they do. The Schwartz's vs My Big Boy!